NOTE: This page serves as a guide only and member should check with the USA Hockey website regularly for updates. Complete the background screening found on NYSAHA website for NY affiliates (required every two years and cannot be added to a roster until complete). Click here to register for your screening. 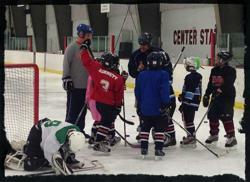 For more information on the USA Hockey Coaching programs and details please visit their home page. Click here for more information.